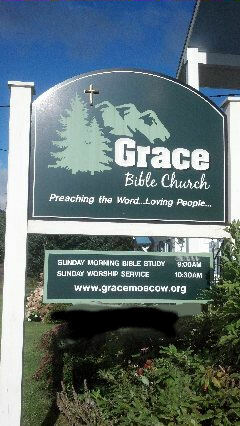 Grace Bible Church is grateful to be a part of Stowe, Vermont. Our community at large is very diverse and so are our churches. Whether you are looking for a church home or a church home away from home, the Stowe area has a Church for you. Hopefully our web site will give you a better understanding of Grace Bible. We are a Bible Believing Church located in the village of Moscow. Though we hold to conservative evangelical doctrines we are not legalists. We are GRACE GIVERS!! We may not be the church for you but our area has one for you! We welcome you to come to our worship service, Sundays at 10:30AM, and hope that you will stay afterwards for some fellowship time over snacks. You can find us 2 miles south of Stowe off Route 100 at 856 Moscow Rd. To Worship Jesus; With A Humble and Thankful Heart. To Love All People; Saints and Sinners Unconditionally. To Pray Believing; God Answers Prayer. To Trust and Obey His Word!